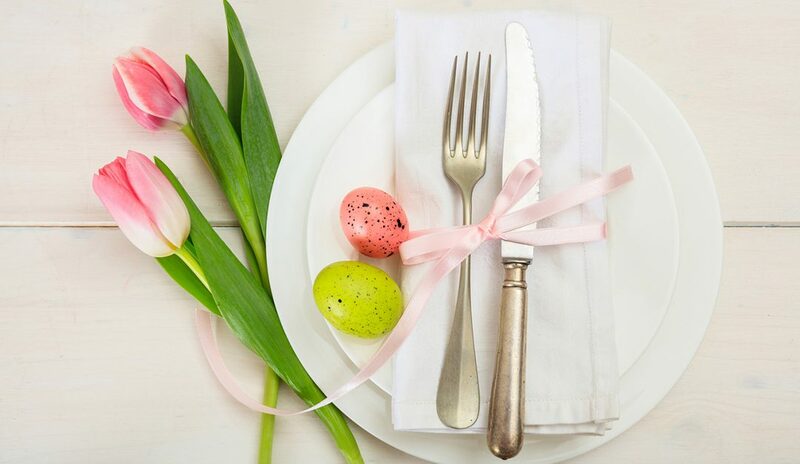 Hoping to have an Easter celebration, but discouraged by the stress of hosting? The following tips will allow you to celebrate with friends and family without taking on too much work yourself. Make It a Potluck. The simplest way to minimize hosting stress is to make the event a potluck. To avoid a party full of appetizers, ask certain people to bring dishes in specific categories, like a main, a side, or a dessert. Minimize Cleanup. One lesser-used potluck pro tip is to ask guests to bring their own dishes and utensils, as well, to minimize dish pile-up at the end of your event. If you’d rather not ask your guests to bring these items, purchase compostable cutlery and plates for easy (and earth-friendly) cleanup. Fill the Space With Flowers. For low-stress decorating, visit your local farm stand or florist and splurge on flowers and greenery to fill your space with fresh April blooms. Make It Creative. Parties with a specific focus (i.e., dying eggs or making wreaths) provide a fun way to connect creatively. You can also host a centerpiece party, where you provide the material for table centerpieces and let your guests make their own. Enjoy the Outdoors. Minimize the stress of tidying up before and after by hosting your party al fresco. Set up folding tables and chairs outside, a pop-up tent for shade, and keep only a few rooms in the house open, like the kitchen and bathroom.